The Jack Kirby Museum at Comic-Con International: San Diego! Thanks to the support of Museum trustee John Morrow, the Kirby Museum will be headquartered at the TwoMorrows booth (#1215-1217) again this year. We’ll be there to meet and talk with you about our programs, scan Kirby original art for our archive and show some Kirby-related videos on our laptop. We’re also having a Kirby Museum panel in Room 7B on Saturday, 22 July from 5-6 pm. Discuss with the Museum’s Board of Trustees â€” Lisa Kirby (President), John Morrow (Vice President), Randolph Hoppe (Secretary/Treasurer) â€” what the Museum has accomplished in this early stage of its development and learn of its plans going forward. Multimedia pieces will be shown, including video footage of Jack. Join the Jack Kirby Museum Internet Conversation! Kirby Museum member Bob Heer has been a champion of Jack Kirby on the internet for a long time. 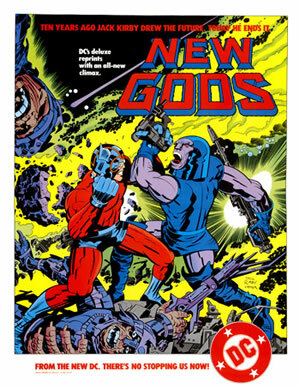 For almost ten years, he has been regularly updating internet newgroups like rec.arts.misc.comics and alt.comic.jack-kirby with the latest Jack Kirby publishing news. On an almost daily basis for a few years, he has been going through his Kirby comic collection, posting a scan, a description, and replying to comments on his Jack Kirby Comics Weblog. We’re pleased to announce that Bob has agreed to have the Museum host his blog going forward. Bob’s also compiled a comprehensive web-based Jack Kirby bookstore. Right now Bob’s store is available through pages on his blog, with 100% of the Amazon Associate commissions going directly to the Kirby Museum. He’ll be helping us integrate the store across the rest of the Museum’s web site, as well. Harry Mendryk has been posting to the Kirby-L, the Jack Kirby discussion group, for a few years. He has a keen eye for artistic styles, and studies and writes on Simon & Kirby history. Harry recently started a Simon & Kirby blog filled with his insightful analysis, excellent artwork restorations, and of course, replies to visitors’ comments. We’re pleased that Harry has agreed to have the Museum host his blog, as well. Museum trustee Randolph Hoppe has been operating the discussion groups devoted to Jack Kirby, Steve Ditko, Will Eisner, Harvey Kurtzman and Jean ‘Moebiusâ€ Giraud currently on Yahoo Groups for almost ten years now and felt the Museum would be a perfect host or sponsor for these discussions. Additionally, we’ve started a Kirby Museum ‘CafÃ©â€ group, for more general discussions that don’t fall within the confines of the other groups. These groups are open to the general public, please join us! There has been an e-mail-based Jack Kirby discussion group of one kind or another for 10 years now. Ten-year discussion group member (and Museum member) Gary Picariello wanted to honor that anniversary with a book that compiles memories, discussion excerpts, artwork and more. It seemed such a compelling study of Kirby and internet culture, that the Museum is going to publish this book itself. We don’t have a name for the book yet, but stay tuned. We’d like to thank Museum member Reed Man for donating a page in his French publication of “The Atomics” #4 to the Museum, which also featured “Abbatoir!” a translation by Museum member Jean Depelley, with new coloring, of the 1954-published Simon/Kirby story “Slaughter-House”. Anyone who picks up a copy of Jack Kirby’s Galactic Bounty Hunters in July, will see a full page devoted to the Museum. Arranged by Trustee Lisa Kirby & Member Tom Brevoort, this donation coming through Marvel Comics is especially heartwarming. Thanks to Trustee John Morrow for providing a page in The Jack Kirby Collector, and the revenue sharing of the Silver Star: Graphite Edition. We’d like to thank all of our members for their support, which is crucial for the Museum to continue our efforts. If you’re not yet a member, please join us! Our big news for this update is the start of our Original Art Digital Archive project. Museum member Tom Kraft suggested that Kirby Museum volunteers scan both sides of Kirby original art in color at high resolution and provide these scans to the Museum. This archive would not only provide amazing images for the Catalogue Raisonné, but also help scholars and historians in their efforts. Visit the Original Art Digital Archive project’s web page for for more information. TwoMorrows is donating a portion of the revenue from their upcoming Silver Star: Graphite Edition. We’re really looking forward to this book! We put off our second update until we got our electronic giving up and running. Well, now we’re connected! Be sure to read up on how we’re using PayPal’s new Subscription feature to help us manage your membership. 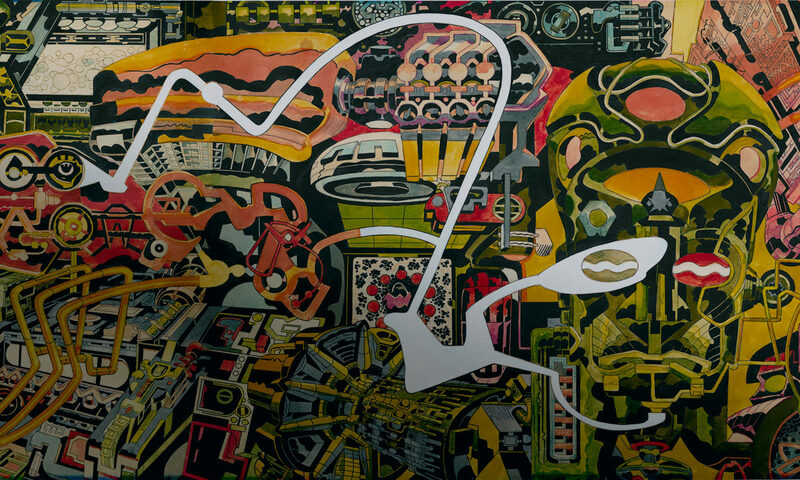 The Masters of American Comics exhibit co-organized by the Hammer Museum and The Museum of Contemporary Art, Los Angeles (MOCA) presents Jack Kirby as one of the 15 influential “Masters”. The show opened 20 November 2005 to great acclaim and will show until 12 March 2006. Then it will travel to The Milwaukee Art Museum (MAM) in Wisconsin from 27 April through 13 August, and then to the NYC metropolitan area. More details to follow. The United States Postal Service announced that it will issue a set of DC Comics Super Hero stamps in late 2006. Included in that 20 stamp set will be a Green Arrow stamp based on a Jack Kirby drawing. The cover of DC Comics’ 2001 Green Arrow collection featured a drawing that longtime Kirby collaborator Mike Royer adapted from a Kirby Bulls Eye drawing. Apparently there will be a Marvel set in 2007. Although the home video version of this past summer’s Fantastic Four movie was just released, there will be a Special Edition shipped in 2006 that will contain “Jack Kirby: Storyteller” – a one hour documentary about Jack Kirby’s life and career. Interviews with Museum Trustees Lisa Kirby and John Morrow, as well as Neal Kirby, Mike Thibodeaux, Mark Evanier, and others are included. John Morrow has seen a preview and gives it high marks for breadth and accuracy. Jack’s 88th birthday, Our Debut. We couldn’t be more pleased to debut on that day. Thanks for stopping by. We’ve got some interesting presentations, and lots more in the works. Anyone who spent time with Jack Kirby reported that he enjoyed telling stories about his World War 2 experiences. Glenn Fleming, a guest to the Kirby home in 1991, recorded Jack describing one particular story that he used in “Mile-A-Minute Jones”, published in Our Fighting Forces #159 by DC Comics in 1975. A brief video clip of Jack interspersed with panels from the comic book was prepared by David Schwartz and is presented here. Although Jack Kirby is currently more known for his work with Stan Lee at Marvel Comics, he had a long, successful partnership with Joe Simon – Captain America, Boy Commandos. Newsboy Legion and Sandman were big hits in the early 1940s. After World War 2, however, Simon & Kirby produced some interesting, non-action-adventure work before tapping into the romance and true crime genres. Presented for your entertainment and edification is Alligator Tetanus 1947. They produced some action-adventure, as well. One of the Kirby highlights of 2004 was TwoMorrows Publishing’s re-working and updating of 1972’s Kirby Unleashed. Mark Evanier and Steve Sherman have been kind enough to allow us to use their amended Kirby biography on this site. Newly illustrated with photos, too! The Kirby Museum’s long-term plans include a major traveling retrospective in 2007, a documentary, and more. We can’t do this without your help. Please consider becoming a member of the Museum to foster the development of these programs.